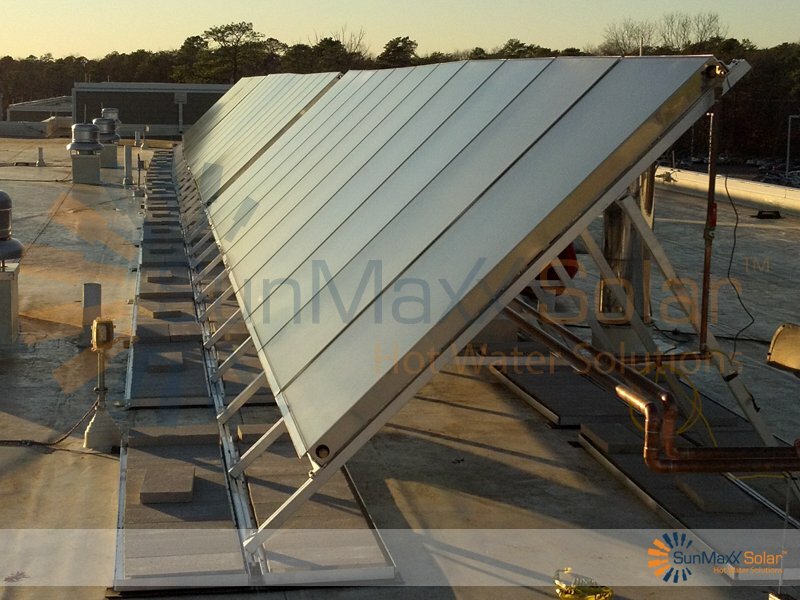 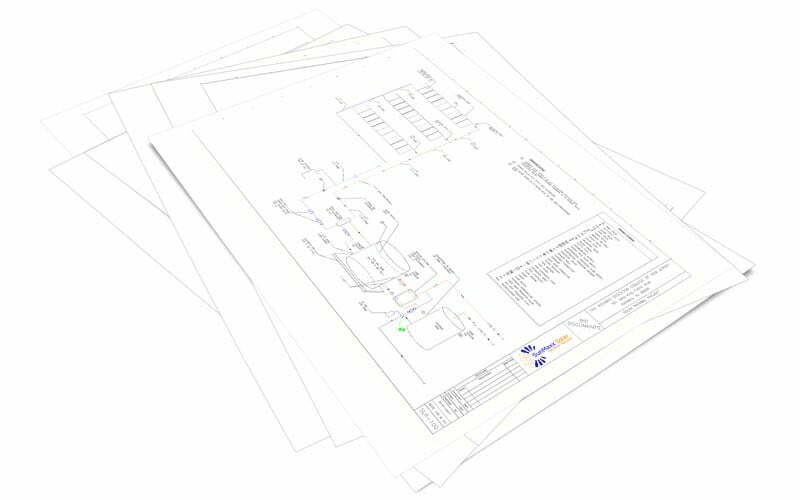 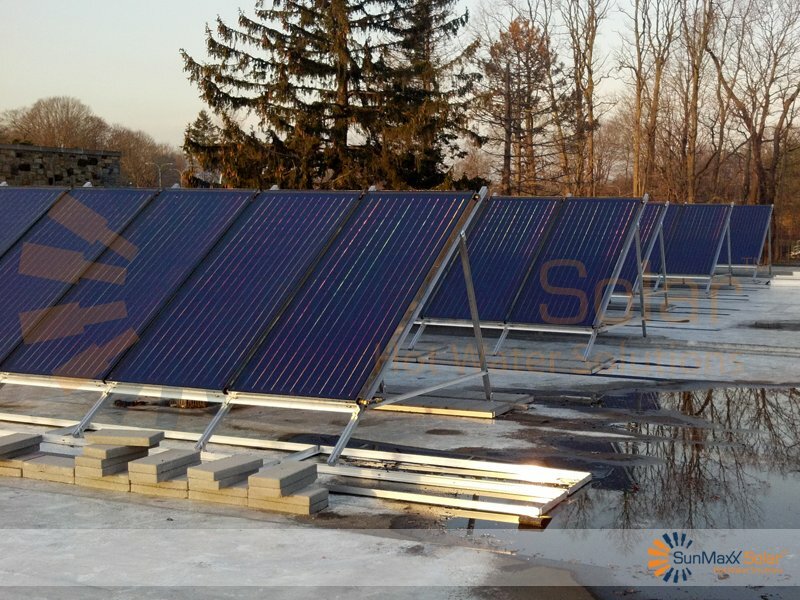 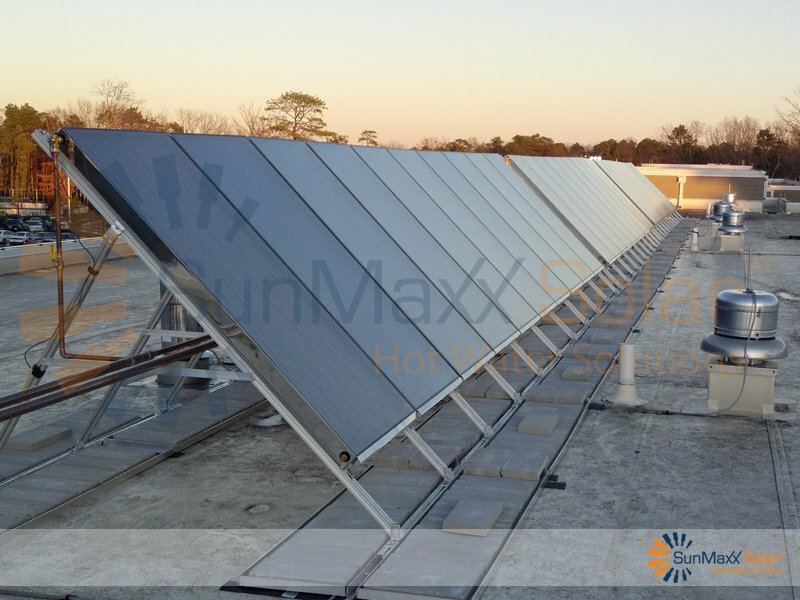 SunMaxx Solar and Intelligent Green Solutions (IGS) worked with Richard Stockton College in Galloway, NJ to plan, design and install a solar thermal system on three of the university’s buildings. 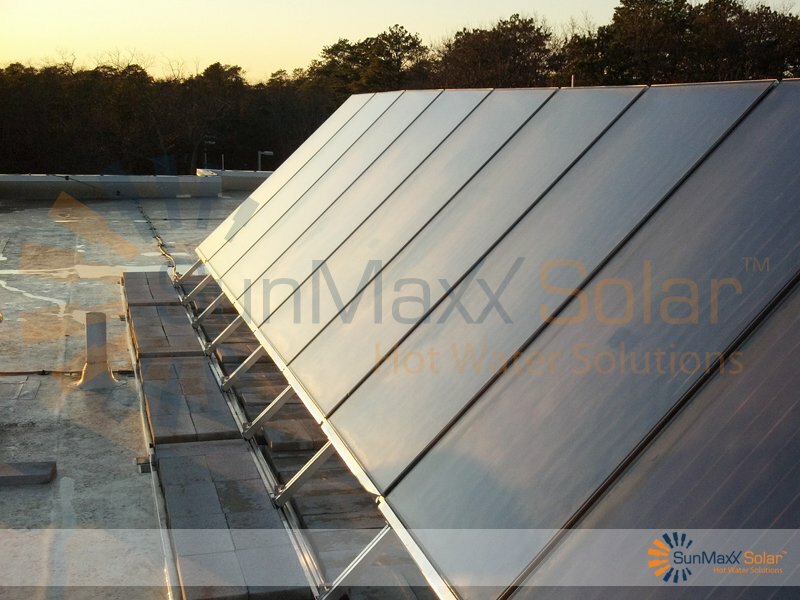 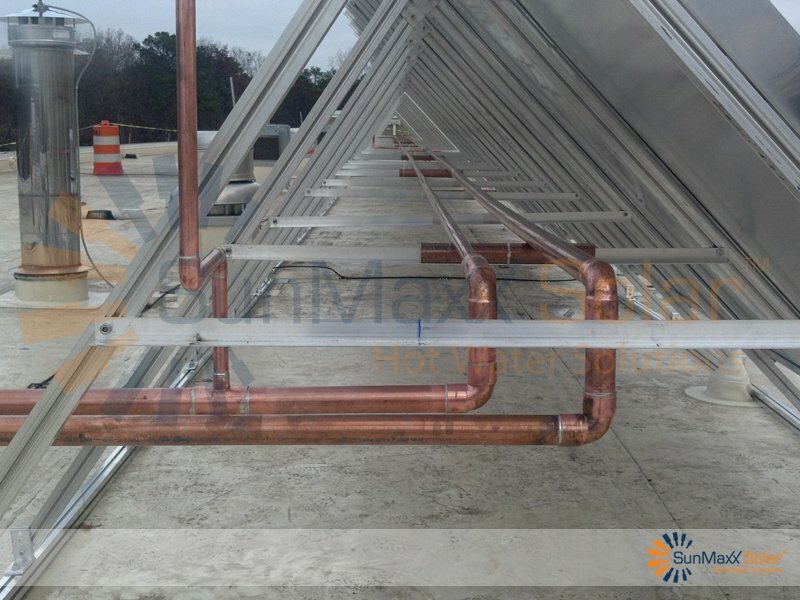 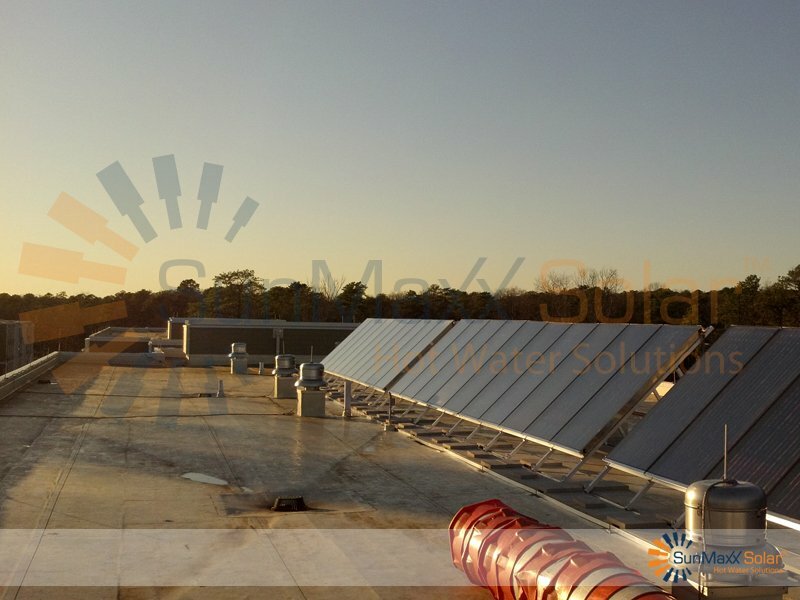 The installation, executed by NOVA Energy, is a large solar thermal system that includes 90 TitanPowerPlus SU2 Flat Plate Solar Collectors (30 panels on each building) and a 512 Gallon Solar Hot Water Storage Tank. 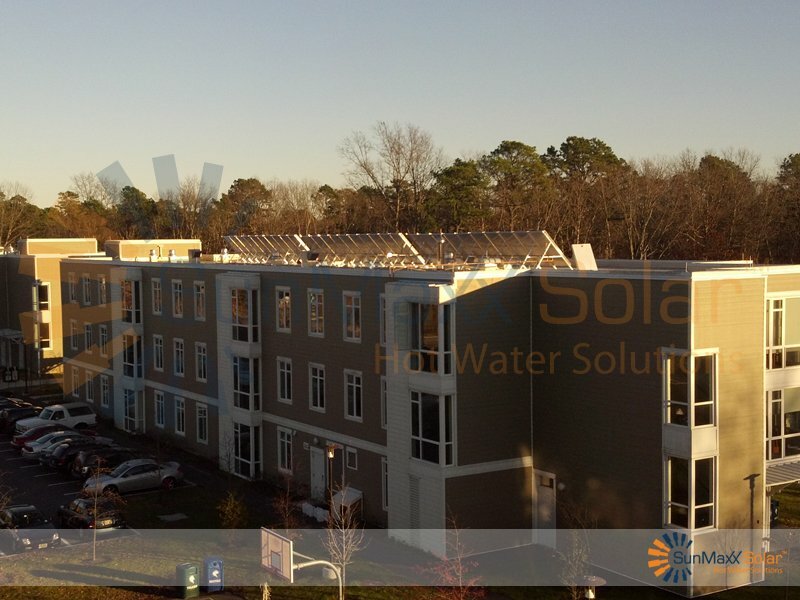 Each of the 3 buildings was actually a paired set of student residence halls – and the installation called for three identical solar hot water systems to be installed on these dormitories. 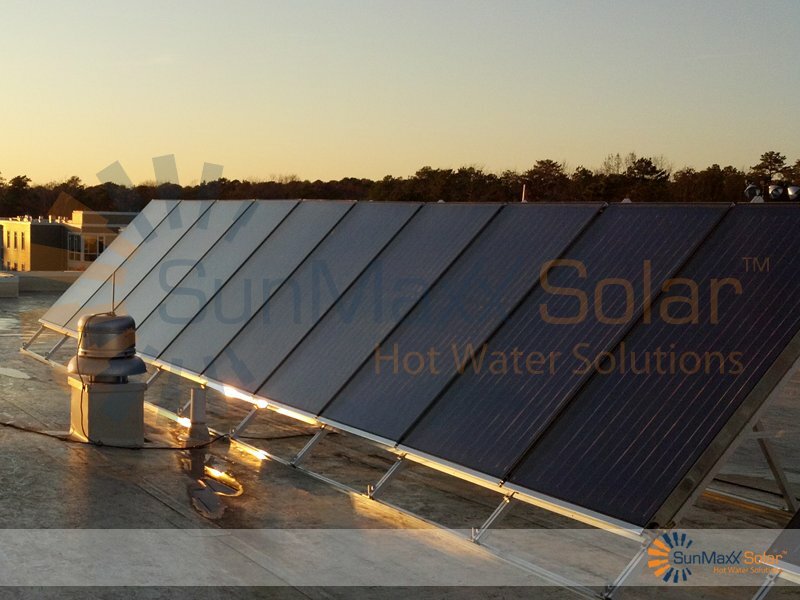 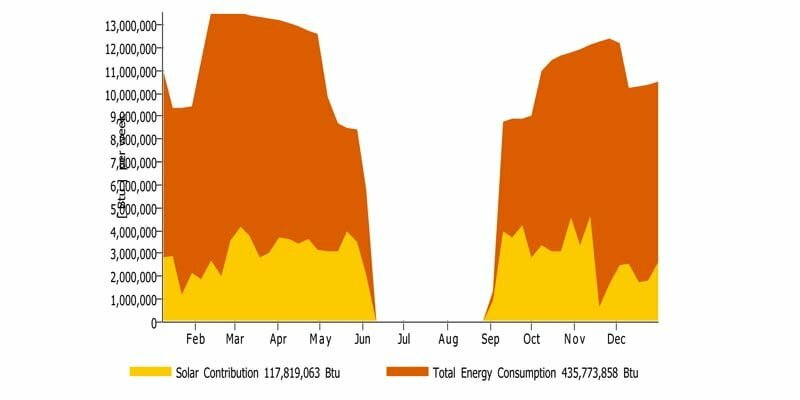 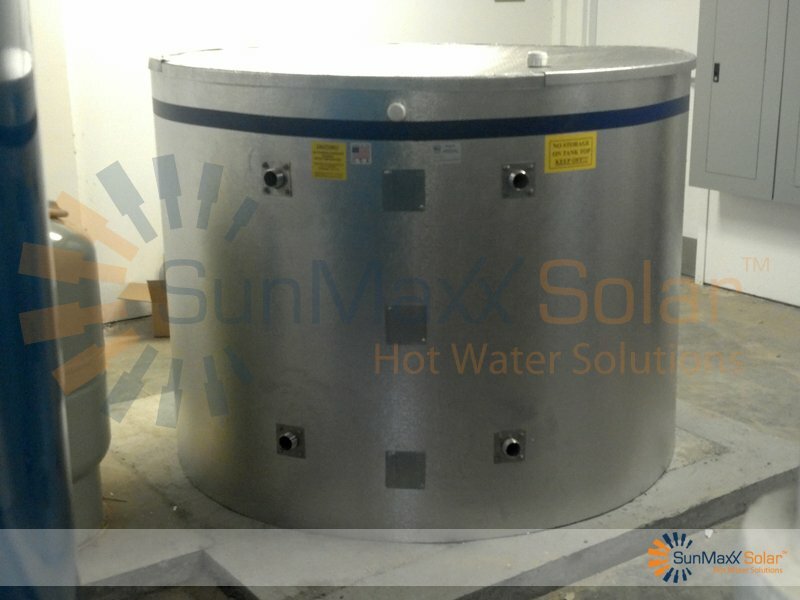 The scope of the project called for each solar thermal system to meet no less than 27% of the 3,138 gallons of hot water that was used in each dormitory pair every day during the school year. 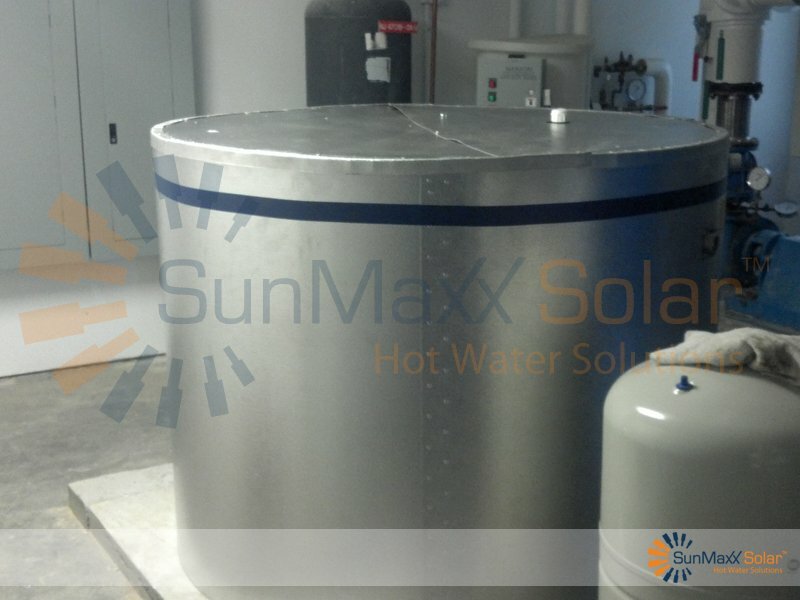 Additionally, the system was required to provide complete overheat-protection during the three summer months when the residence halls were not used. 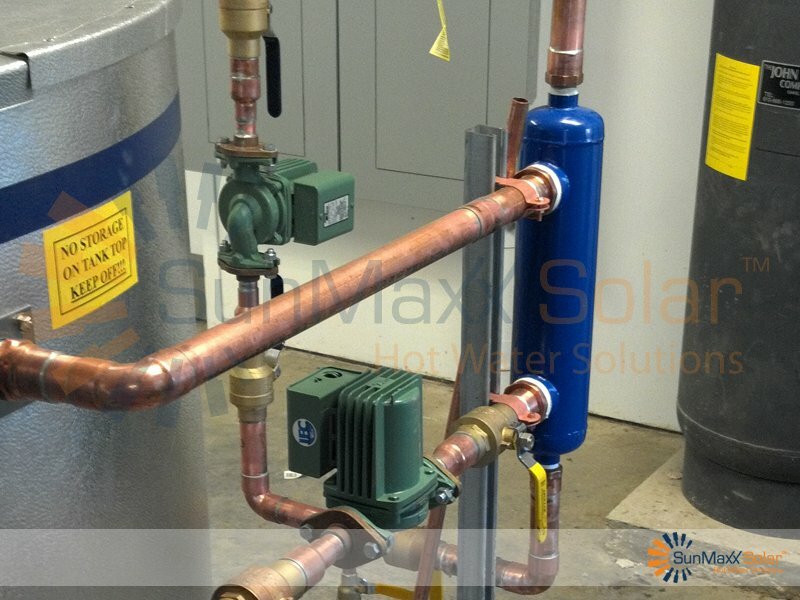 This installation is was completed in December 2011.